John S. Jacobs, 1815-1875 A True Tale of Slavery. 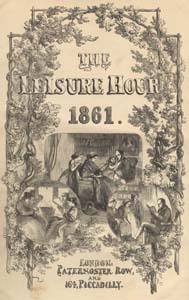 From The Leisure Hour: A Family Journal of Instruction and Recreation, February 7, 14, 21, 28, 1861. A True Tale of Slavery. From The Leisure Hour: A Family Journal of Instruction and Recreation, February 7, 14, 21, 28, 1861. London: Stevens and Co., 1861. Harriet Jacobs' narrative, Incidents in the Life of a Slave Girl. Written by Herself. United States. Fugitive slave law (1850).